Skye Gravestones | Iain & Floiridh (Nic Coinnich) Stiubhart & Ceitag. Iain & Floiridh (Nic Coinnich) Stiubhart & Ceitag. 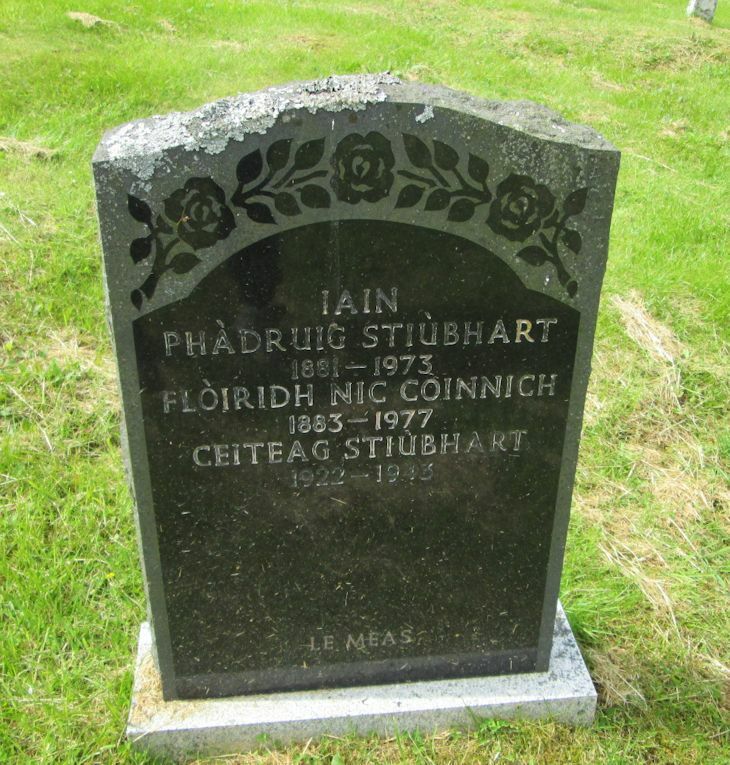 IAIN/PHÀDRUIG STIÙBHART/1881-1973/FLÒIRIDH NIC COINNICH/1883-1977/CEITAG STIÙBHART/1922-1943.